Sahara India Life Insurance is one of the reputed insurance companies in India and offers various types of insurance plans to its customers. It was formed in 2004 and became the first Indian company to function without partnering with any foreign organisation. 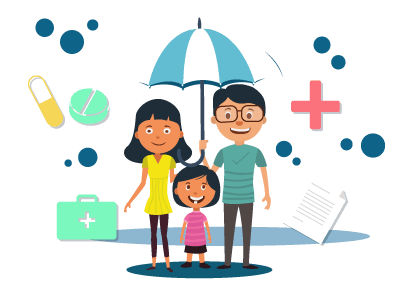 Sahara India Life Insurance boasts of an efficient customer care service and any customer of this insurance company can contact them by calling the toll-free number, sending an email to their official email ID or by visiting one of the company’s branches. A customer of Sahara India Life Insurance can contact a customer care service executive by calling the toll-free number - 1800-180-9000 anytime between 10:00 AM to 5:00 PM from Monday to Friday and 9:00 AM to 4:00 PM on Saturdays. In case the person is unable to get in touch with any customer care executive on the above given number, he/she can contact them on other alternate customer support numbers which are 0522-230 6955 or 0522-2306966 anytime between 10:00 a.m. to 5:00 p.m. from Monday to Friday and between 9:00 a.m. to 4:00 p.m. on Saturdays. Any customer who wishes to get his/her queries clarified can do so by sending an email to sahara.life@sahara.in. Sahara Life Insurance Co. Ltd.
No 1, Church Street Brigade Road, Bengaluru. 4th Floor, GEE, GEE Complex,42, Anna Salai (Near Shanthi Theatre), Chennai-600002. E-128/2, Mohammmadpur, Behind Bhikaji Cama Palace, New Delhi. Mangal Jyoti Building, 1st Floor 227/2, A.J.C.Bose Road, Kolkata.